Simon Says: Use More Than One Die Cut or Punch. Thank you for joining us for the Bit O’ Green Challenge and we hope you will all join us again this week too. This week we are showcasing Memory Box Products this week. You don’t have to use them for the challenge but if you have them we would love to see them used. This is my take on the challenge theme. The bunnies are stamped using versafine Onyx Black ink on watercolour paper and coloured using Zig Clean Colour Brush pens. I hand cut them out. 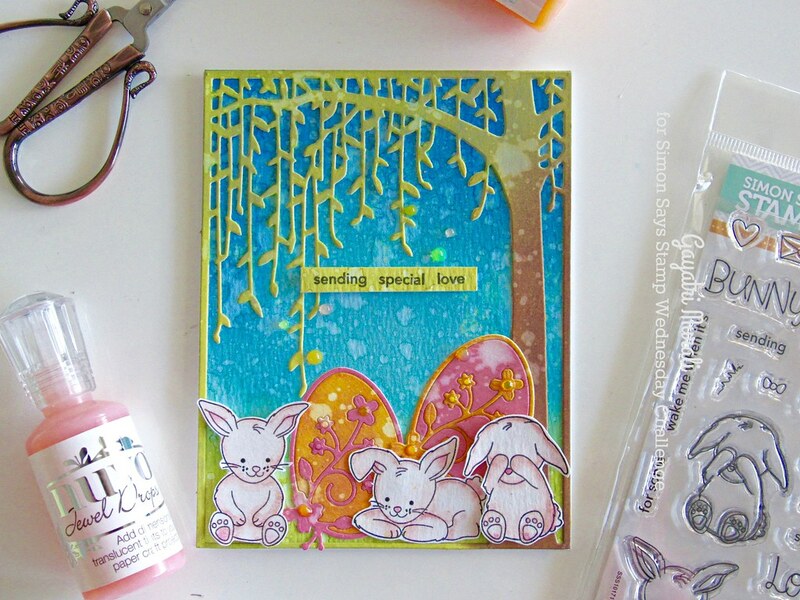 The sentiment is also from Some Bunny Love You stamp set. The card is embellished with Nuvo Jewel Drops. Here are some of the closeup photos of the card. It looks beautiful! Love the background and those sweet bunnies. Could these bunnies we any cuter, Gayatri! 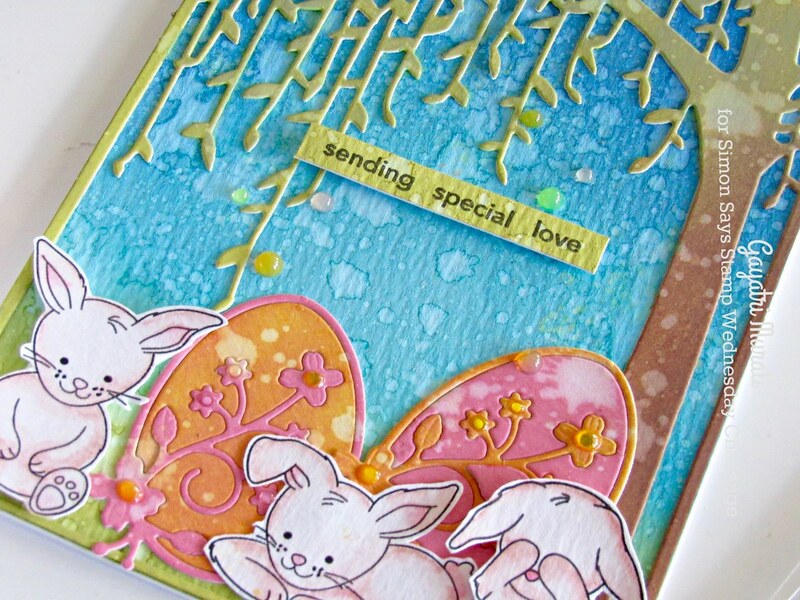 Love your sweet Easter scene! so cute – I have always admired this tree die – may have to make it mine soon! 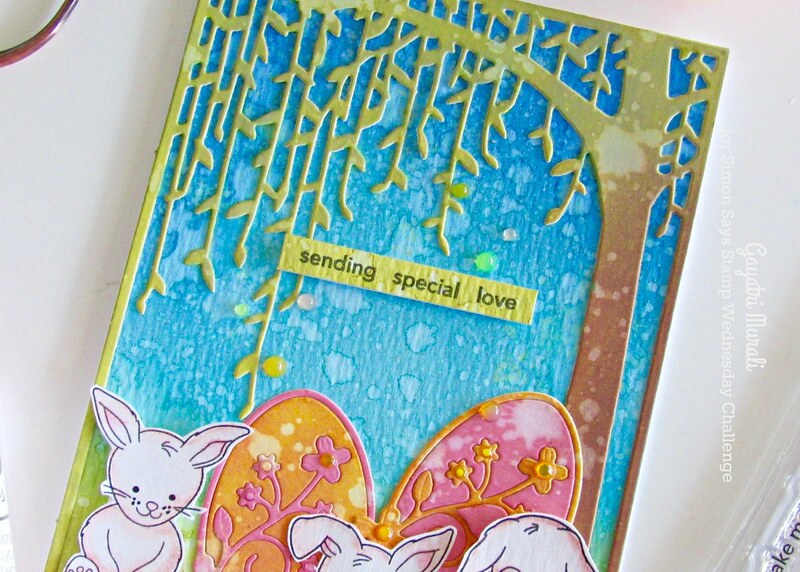 I love the wonderful dies you used! The bunnies are adorable!! Beautiful! Thank you Sybrina. 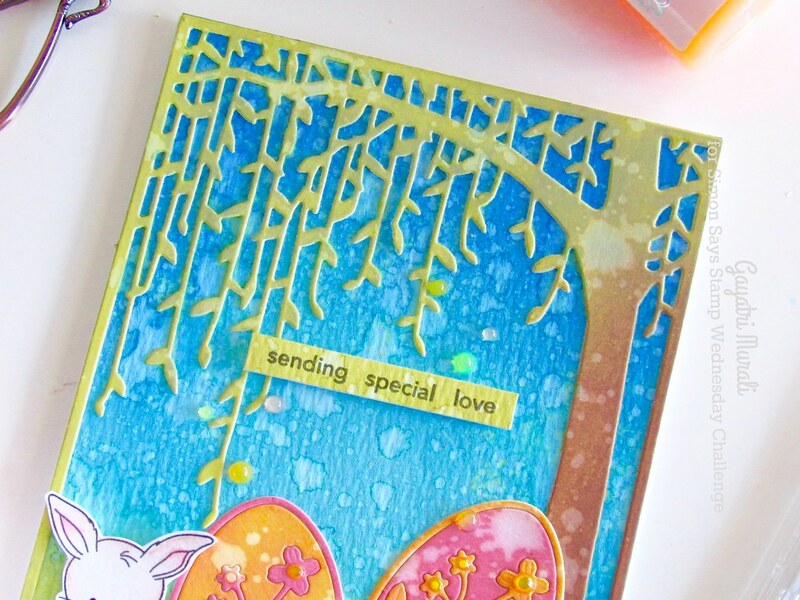 You will love working with distress oxide inks.